My personal vow and commitment to my big sister Jamie Grisim is that I will continue to tell your story, Jamie, until the day I die. You didn’t get a chance when you were taken from this world back in 1971 to have a voice about what happened to you. Your story wasn’t on the local news. There were No huge public outcries like with Natalie Holloway or Brooke Willberger or even the murdered Oregon City girls. Today is a different world, when disappearances of young innocent children are taken seriously and immediate action is needed and usually taken. There were no movies, no books, no Missing Persons Posters, or Amber Alerts, only my anguish, Jamie, and my vow to love you and cherish your memory forever. But now, things have changed Jamie. Your story is on at least five websites, and actually closer to ten. You will be remembered as long as I am alive. That is my promise to you, my wonderful, loving, sweet big sister. Some day, I will see you again in heaven, I am sure. My name is Paul Wightman. I am Daria Wightman’s brother. She was the young lady that was left for dead and ‘got away’ from Warren Forrest. We were living in Camas at the time she was attacked. I was 15 years old and a sophmore at Camas High School. I hope that you will be able to find a conclusion to Jamie’s disappearance soon. Our thoughts are with you. Please let me know how to best contact you. Dear Paul, Some day maybe I can talk to you or your sister about this. We are here for you and your sister. We will work on getting Justice for You Sweet Angel. You are in our Hearts. Dear Doug, thank you so much for your prayers for Jamie. This means so much to me. I was able to personally thank Prosecutor Denny Hunter at the recent parole board meeting on April 11th. Due to his strong presence and the presence of the current prosecutor, the board was impressed that Warren Forrest should remain in prison. For now, for the next two years we can rest easy that Warren will stay in prison. Your words touched me so much. Thank you for remembering Jamie. I wish with all my heart and soul that some day soon you will be found Jamie,Your older sister Star has been trying for sooo many years to find out what happened to you. She has a suspect in mind…but no prove as of yet. She loved you & still loves you and she is crying out for JUSTICE…..I also would like Justice served! Thank you Yvonne, Jamie was my older sister. I haven’t found her yet, but I will never give up. Thank you for all your well wishes. I feel shy talking to a person who has passed, on the internet, because i feel like its a private prayer for me, so i’ll address you, star, if that’s okay. The tragedy of losing your sister would be hard to bear; at such a young age would make it even harder; and the manner in which she was taken would make the loss seem insurmountable. And, you had already had more than your fair share of loss *before* jamie was taken, as you were growing up… I dont know what it’s like to be in your shoes, but I do want to say that, except in perhaps the rare cases of classic literature, your passionate, undying, selfless love for your precious sister is one of the most powerful stories I’ve ever heard. 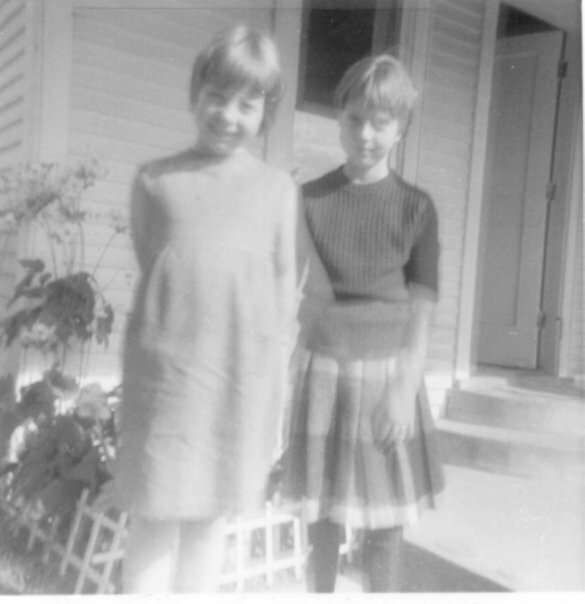 I know that *you* want to honor your sister’s memory, and I hope I’m not offending you by writing to you instead, but I just want to say, I know you want to keep your sister alive here on Earth by sharing her story, but what you’re also doing in the meantime is leaving the eternal legacy of your love for her, as well. Dear Carey, thank you from the bottom of my heart. Your kind words mean a lot. To leave an eternal legacy of love for my sister would be just what I hope to leave for her and for all sisters. Jamie, I know that you are thinking of your sister Starr daily like she thinks of you. No matter where you are you are in her heart. You live on with us through Starr and it’s wonderful to hear about what a fun and caring sister you were. We will not give up on you ever!! Jamie, I miss you. You had such a short life, but the time you lived it you spread happiness. You were a good friend, and I wish I could have been there more for you. Your sister and I have become even closer, and I am so glad she is in my life. We pray for your return and that you can finally be reunited. Dear Donna, I am so grateful to have you in my life. It means a lot. Thank you for your prayers. You and my sister, Carolyn have been watching over Starr and I from up in heaven for a very long time, and in fact brought us together as friends. Starr has been on this journey to find justice and bring you “home” far longer than I have. My sister, Carolyn was murdered in 1995, and her body has never been found. However, we did find the killer, he was convicted and later hung himself in prison His name was Dennis Keith Smith, and he murdered his own sister in 1982, got life in prison, was out in less than 10 yrs and went on to kill Carolyn, who was a complete stranger to him. BUT I’m not writing to talk about my sister but so people reading this will know that Starr and I have a very deep connection having lost our beloved sisters in such a horrible way,and that we both miss our sisters ever so much. We have a common goal of bringing you both home someday to properly lay you to rest, not leave you in a place your killer decided would be your final resting place. 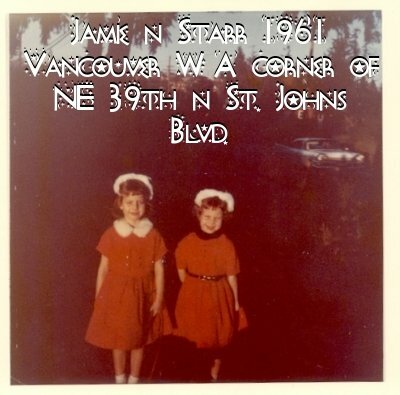 I want you to know, Jamie, that your sister, Starr has unselfishly and tirelessly worked to bring your killer to justice. She will never stop looking for you and even in the mist of her own trials and tribulations she reaches out to others to give comfort, advice and support. Your sister, Starr is one amazing woman, as you well know. Jamie you will never be forgotten and you are loved by so many, some of us whom didn’t get the chance to meet you but got to” know you” through Starr. I promise you, I will be loving and supporting Starr as she continues her search for you, and in her quest for justice to be done on your behalf, that includes keeping Warren Forrest locked up forever. I’m proud to call Starr my friend. Your legacy lives on. Dear Susan, Thank you for your kind comments that definitely bring me to bittersweet tears, both for Jamie, for Carolyn, and for us. I am forever grateful to know you. You have given me strength when I didn’t have any. I cannot believe all that we and our sisters have in common, and I know they are together up above, just like we are here below. They are enjoying our friendship as much as we do. I am grateful to have you as my dear friend. Let’s plan to get together this summer okay to look for Carolynn and Jamie and bring them some flowers. Please read about Carolyn Killaby people who are reading this. She needs to come home too, and soon. Her case appeared on Unsolved Mysteries and Forensic Files and also America’s Most Wanted, which the later show helped to bring her killer to justice. You are in our hearts and in our prayers…We love you and will never give up looking for you…. Thank you Donna too, our sweet, beautiful, kind, and loving childhood friend. It is so wonderful to have you in my life. I feel so lucky to have such a wonderful friend, and I know Jamie is up above enjoying our friendship too. I love you Donna. Dear Jeanne, and everyone thank you for your kind comments. It means a lot to me. I recently stumbled upon this because I was hired to repair Starr Lara’s computer. Unfortunately, I was unable to retrieve Starr’s data from her computer – and now I understand how great of a toll it was for her to lose her precious memories. I’m very sorry to hear about what happened and hope, pray, and beg God to give some answers to the many prayers left behind. If it wasn’t for Starr’s e-mail address, I would have never found this site and the problems that Starr is currently facing. Starr: Originally, I was going to sell you the computer. However, after seeing this and getting a small glimpse of your reality, I can not do that in good faith… The computer is yours, free of charge. I hope this helps you, albeit even small, in keeping your spirit and determination strong. If you need help with keeping backups of your future photos and documents, please do not hesitate to ask. Keep your head up high! I’ll be sure to keep you, your family, and the wish of your sisters safe return in my prayers. Starr’s data is currently being recovered! !